If any of you have experienced the 'Sorry we are full ' statement when you roar up on your beloved Motorcycle, here we include camping places who will indeed welcome you! Camping & Bungalowpark Isábena - The first official BMW Motorrad Testride Hotel in the Spanish Pyrenees! Located in the small village of La Puebla de Roda at the southern range of the central Pyrenees, in the province of Huesca, still untouched by mass tourism. 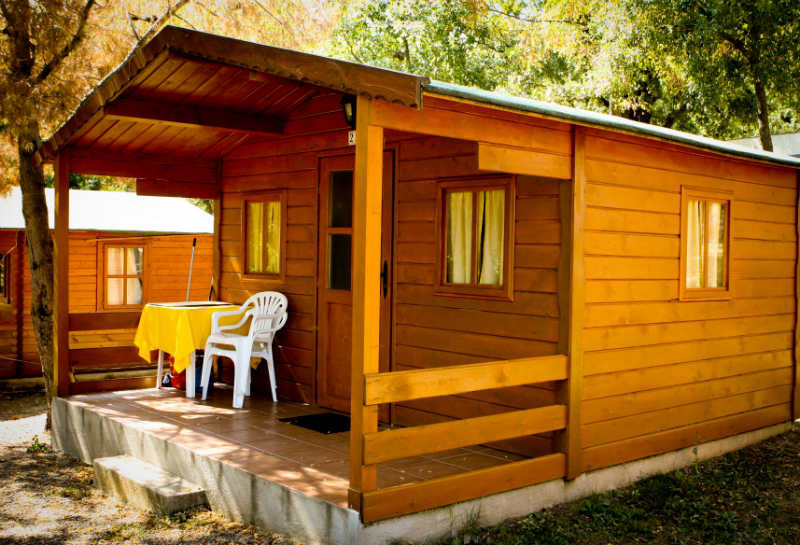 A tranquil resort offering a choice of accommodation in bungalows, mobil-homes, small wooden houses or in the camping area, below century-old oak trees. In addition the campground offers you a pool, modern Spa, bar with evening entertainment and restaurant, where you can enjoy traditional Spanish cuisine, washed down with a glass of excellent local wine, a delicate liquor or one of Anna's fantastic cocktails! Also Helicopter flights from the camping. The Spanish Pyrenees are a paradise for Motorcycle riders, both on street and off-road, with many Bikers using this as a base for touring the beautiful area and exploring the enchanting landscape. Guided tours are available with owner Michael or they can help you to planning your routes. 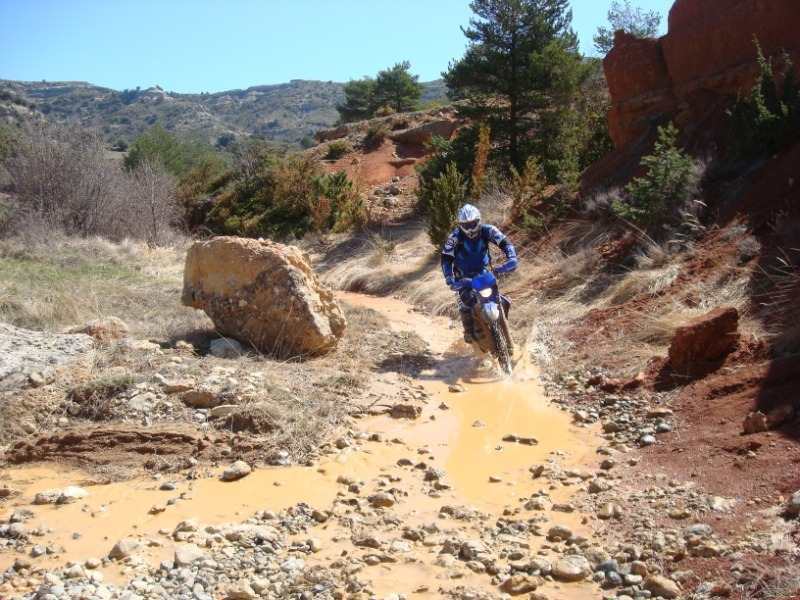 If you fancy going off-road, you can rent motorbikes (Yamaha and Suzuki) for challenging gravel roads in the mountains, beaches and more… something for every taste and skill level. Camping & Bungalowpark Isabena can call now itself the first Official BMW Motorrad Testride Hotel in the Spanish Pyrenees. From April until October you can test the newest BMW Motorrad motorcycles here. The price (daily rate) are scaled depending on the Motorcycle type between €80 and €92. The motorcycles are insured against third-party risk with an own risk of €500 to €1000 depending on the motorcycle. The minimum rent period for each motorcycle is two days. On-site you can decide which motorcycle you would like to test depending on availability. Please keep in mind that this is not a rental center, it is a Testride Center. With this new offer of BMW Motorrad motorbikes, you can explore the wild canyons, steep cliffs and the many different mountain roads of the Pyrenees. Free Wi-Fi. Drying room and Motorcycle washing facilities. Parking adjacent to accommodation and pitches. 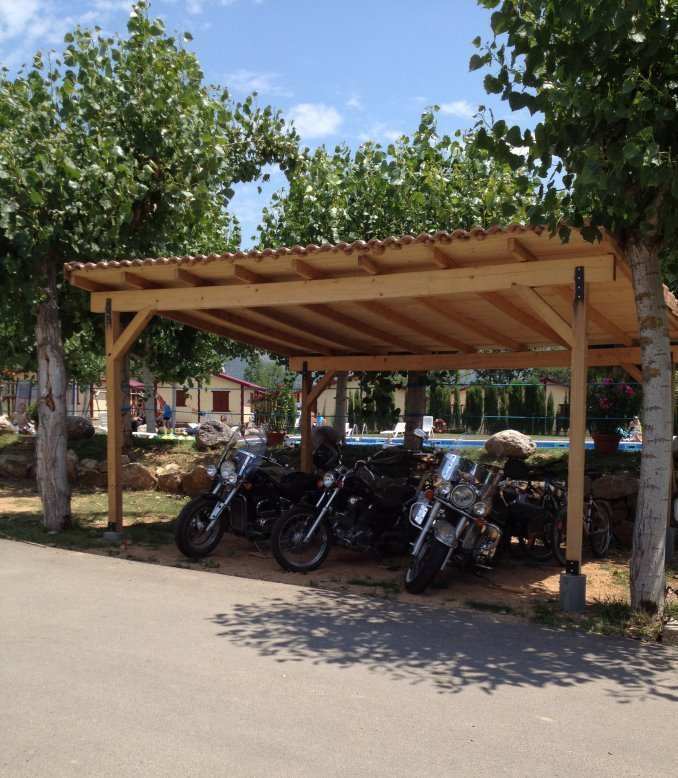 A great place for Bikers, with a range of accommodation and an ideal place for a motorcycle holiday... They can even assist with route planning! 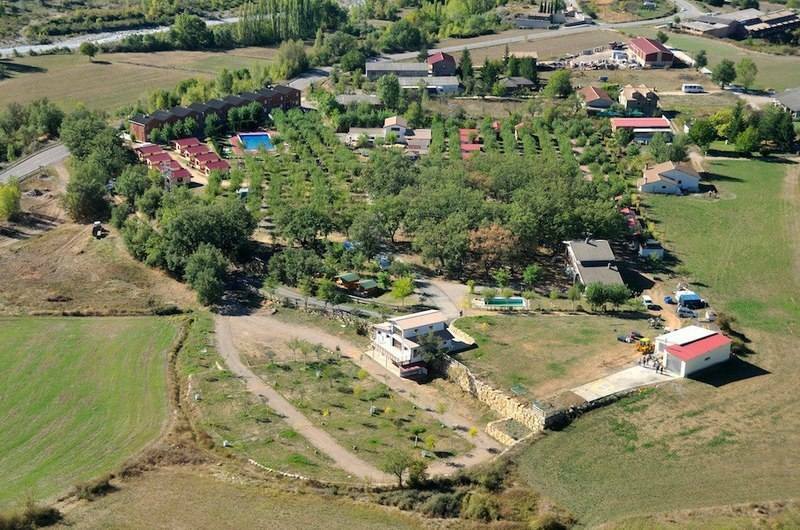 With the best of Spanish hospitality, for a wide range of accommodation possibilities, with Wooden alpine style bungalows and a Yurt in Camping-Bungalowpark La Cerdanya, ideal for tranquility, nature and outdoor lovers. 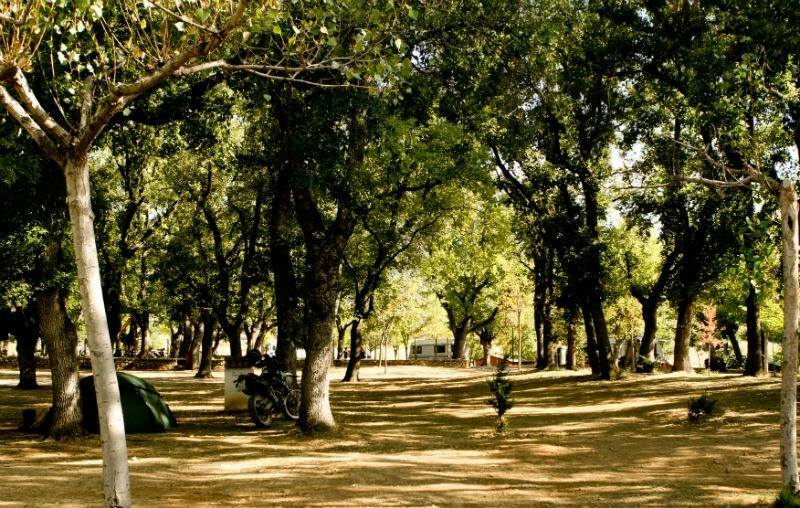 Camping pitches with spectacular views over the Natural Park of the Cadí–Moixeró, access to water taps, toilet and shower blocks. Also lovely modern rooms in the Hotel Muntanya & Spa and comfortable self-contained apartments - Aparthotel Ca L'Auren. Restaurants for buffet, Gastronòmic and Barbecue meals, Bar-Restaurant KM Cerdanya for breakfast, pizza and cocktails (not all at once! ), panoramic terraced snack bar, Wellness centre, gardens and swimming pool open and heated all the year. In the heart of the Pyrenees, in the beautiful valley of La Cerdanya, on the sunny side of the Pyrenees at the crossroads with France and Andorra, between the border town Puigcerdà and the medieval town of La Seu d'Urgell. The Cerdanya, due to its location and terrain, is one of the best connected valleys of the Pyrenees and the sunniest in Europe. Surrounded by excellent maintained quiet roads, varied landscapes, beautiful villages and not too far from Barcelona, Girona, Perpignan and Toulouse. From here there are several possible routes they have developed (roadbooks and GPS are available), such as The wild pre-Pyrenees | Along the French Cathar castles | Three-country route | The French coast and the Costa Brava | High mountains. See a video of such routes here. Free Wi-Fi. Drying room and Motorcycle washing facilities. Garaged parking.